← Change is Natural with Kameleon! Are you a member of our Loyalty Card program? If not, that’s ok, you can sign up today for free to take advantage of early sale prices before anyone else! 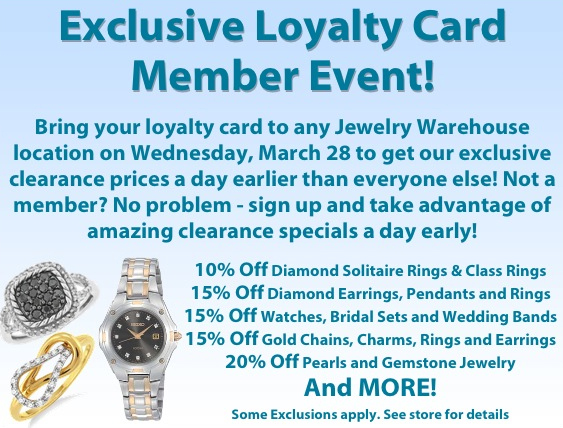 Just stop into any of our 4 Jewelry Warehouse locations to get the Loyalty Card! The blowout sale is through April 7th! This entry was posted in Jewelry, Sales and tagged Jewelry, jewelry warehouse, sale, spring blowout sale. Bookmark the permalink.